Mark of eccentricity, or when did this seem like a good idea? I am a member of several automobile-oriented groups on Facebook, including Cars Modified in Ways That Dumbfound. … this country’s automakers have occasionally sent out into the world vehicles with features, or sometimes lacking features, that make one wonder about the decision process that led up to that dubious judgment. It seems as though most of those came from General Motors, which by the 1950s was the nation’s largest company in terms of revenues as a percentage of Gross Domestic Product, the largest private-sector employer in the world, and the first U.S. company to pay more than $1 billion in taxes. For all of GM’s innovations — the first self-starter, the Cadillac V-8s, the Chevy small-block V-8, their current automatic transmission design — GM’s major sin has been sending vehicles and technology into the marketplace before they were really ready to be there. One example was the 1980s Pontiac Fiero, a mid-engine two-seater with not much engine until a V-6 was installed. The much more fun driving experience of a V-6 in a light car lasted until the Fiero was canceled three years after the V-6 was introduced. (Apparently publicity about engine fires, a hallmark of the original engine, has a negative effect on car sales.) A much wider example was GM’s 1981 Computer Command Control, which was supposed to improve performance and fuel economy. Instead, it introduced the car-buying world to the yellow Check Engine light. The bigger issue was the Corvair’s handling; engine weight over the rear wheels made them oversteer, as opposed to the traditional understeer of front-engine rear-drive vehicles. The suspension design not only made oversteer worse, it helped make the rear wheels bounce off the road surface, which doesn’t help, you know, controlling the vehicle. A change in suspension design for the second-generation Corvair made them handle much better, but why didn’t GM introduce that design for the first generation? Did GM test the cars in (imitation) real-world use enough to figure out they had a suspension problem? Shortly after the Corvair debuted, GM’s other divisions (except for Cadillac, which was 15 years away from introducing something that wasn’t the size of an aircraft carrier) introduced their own compact cars on the same unibody chassis — the Pontiac Tempest, whose base engine was half (literally) of a V-8, with a rear-mounted transaxle (later to be seen on the Corvette); the Oldsmobile F-85; and the Buick Special, each of which had as standard or optional an aluminum-block 215 V-8, the basic design of which can be found in, of all vehicles, the Land Rover Range Rover. 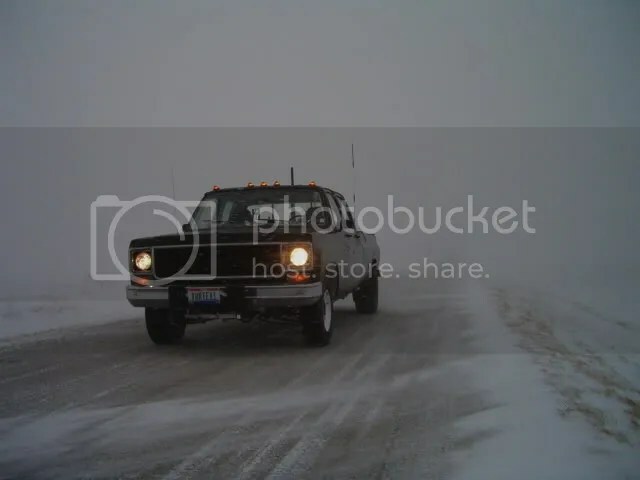 (The Buick also offered a 198 V-6, the design of which was sold to Jeep a few years later, only to have GM get it back in the early 1970s and use it into the late 1980s.) Chevy, meanwhile, came up with its own compact, the Chevy II, though on a different platform after the Corvair was badly outsold by the Ford Falcon. The car was styled by Bill Mitchell, so of course it looks good. Ed Cole, who brought the world the modern Chevy small-block V-8, was its designer; he became GM’s president. The lead designer had worked on the Nova and Camaro, the small-block V-8 with Cole, and the Turbo Hydramatic automatic transmission, which has been used by GM for more than 50 years. From the first day I stepped into Chevrolet, the Vega was in trouble. General Motors was basing its image and reputation on the car, and there was practically no interest in it in the division. We were to start building the car in about a year, and nobody wanted anything to do with it. 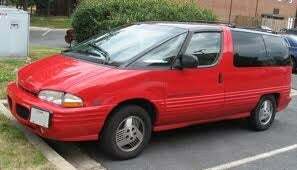 Chevy’s engineering staff was only going through the motions of preparing the car for production, but nothing more. Engineers are a very proud group. They take interest and pride in their designs, but this was not their car and they did not want to work on it. By late 1968, Chevy had a running prototype, but in a sign of things to come, the front end sheared off after just eight miles of testing. Fixing the front end meant adding weight, so engineers looked to shed pounds elsewhere. Inner fenders were deleted, as were plastic fender lines to combat rust, saving a whopping $2.28 per car. And instead of an iron block, they used a new 2.3 liter die-cast aluminum block inline-four. 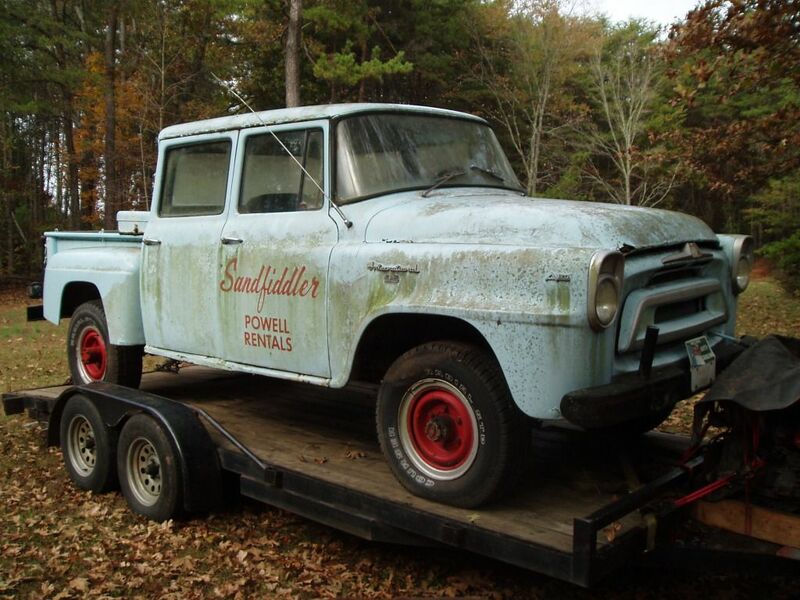 GM had built aluminum engine blocks with no major issues before, but this mill was different. Its heavy cast-iron head outweighed the block, and on top of vibration issues that caused the carburetors to rattle them selves apart, high compression caused engine blocks to warp and fail should temperatures climb over 230 degrees. Strike three for the Vega was the car’s construction. Contrary to popular belief, GM did rust proof the cars, but its design allowed for air pockets to develop between the front fenders, cowl, and firewall during the rustproofing process, leaving the steel in those areas dangerously unprotected. 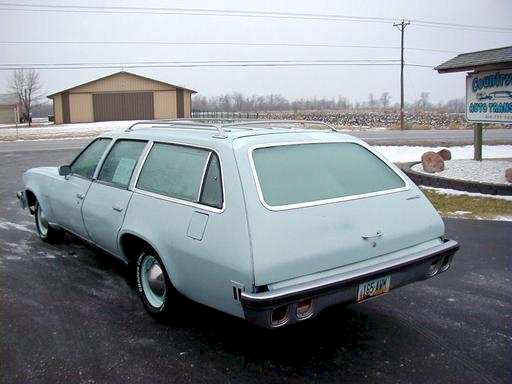 Yet while all these defects were known to company brass, the Vega debuted on September 10, 1970, and just like GM hoped, it was a huge success. 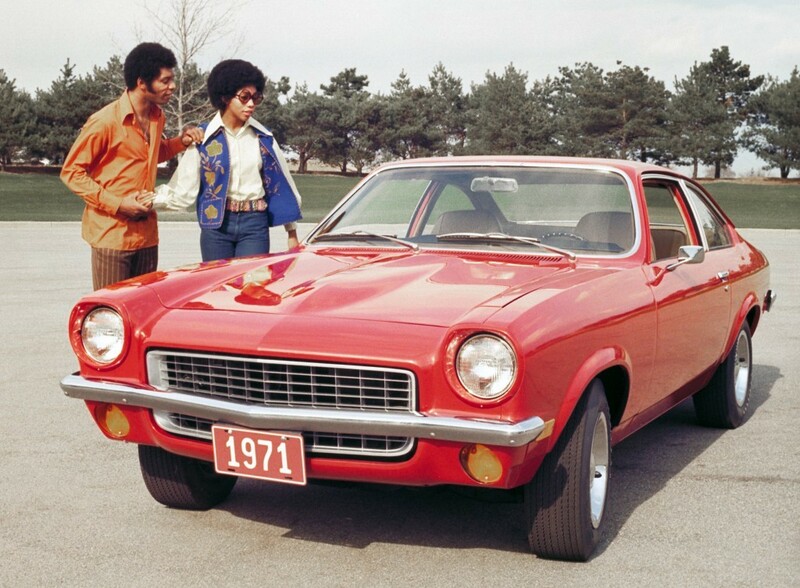 1970 was when Detroit got serious about import fighters. American Motors snagged a Newsweek cover in April with the release of its subcompact Gremlin, and Ford’s Pinto became ubiquitous overnight, famously being described as “the car nobody loved but everybody bought.” Chevy was late to the party, but it hardly made a difference. Two years overdue and well over-budget (GM spent $200 million on the XP-887 project, or around $1.2 billion today), the Vega instantly became the star of the American subcompact segment, with its good looking kamm-tail body and mini-Camaro front end. It was slightly more expensive than the Pinto and Gremlin, but looked better, handled better – and at first, was almost completely unavailable. General Motors spent $75 million retooling its production facility in Lordstown, Ohio specifically for the Vega, going full speed ahead while labor relations hit an all-time low. The company boasted that the semi-automated assembly line could build 100 Vegas and hour, and fit 30 of them into specially-designed freight cars, a drastic improvement over the standard 18 vehicles per boxcar. But these advances in automation came with waves of pay cuts and layoffs. Workers at Lordstown briefly went on strike in late 1970, and again for 22 days in 1972, with the plant becoming the focal point of national labor relations as workers intentionally slowed down production and sabotaged cars to retaliate against company policies. As Vega supplies ebbed and flowed, “Lordstown Syndrome” became shorthand for the troubling times in the automotive world. For GM, it was only going to get worse. From 1971 to 1980, Chevy sold over 3.5 million Vegas and other H-body models. Despite their fantastic potential, a litany of recalls and atrocious build quality means that they’ve all but disappeared from American roads. The few that survive have become a symbol for all that went wrong in the American auto industry after 1970. There’s a direct line from the Vega to the Monza to the Cavalier to the Cobalt, and while each of them could be considered a fantastic sales success for the company, their reputations for being unreliable, unsafe, and embarrassing to be seen in ensure that none of them are remembered very fondly. 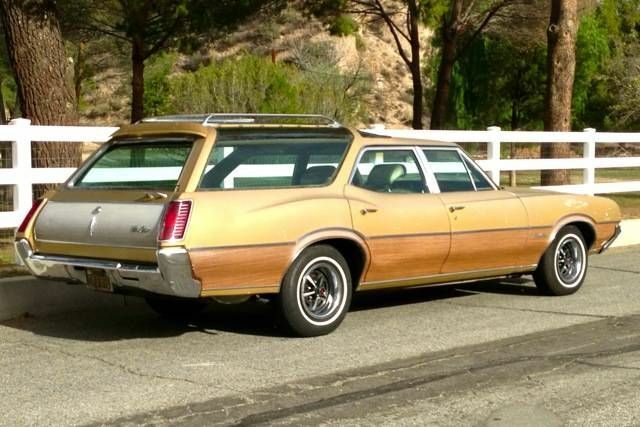 The aforementioned wagon represented the first phase in GM’s three-phase downsizing of most of its cars in the late ’70s. The full-size B-bodies and C-bodies were a home run in terms of design. The intermediate A-bodies, well, less so. Given that GM had started working on the Citation five years before introduction (in 1979 as a 1980 model), you’d think GM would have fixed its issues before Citations went to dealerships. Instead, the more than 800,000 first-model-year Citation buyers discovered an old-design and crude four-cylinder engine (previously seen in the Vega), a new concept called “torque steer” (front-wheel-drive oversteering upon applying foot to gas pedal), rear brakes that locked alarmingly often (antilock brakes were a few years away), and, by the way, poor build quality and worse reliability. The most radical design GM had attempted to date lasted six model years, though its inclusion on numerous Worst Car Ever Sold lists has lasted far longer. 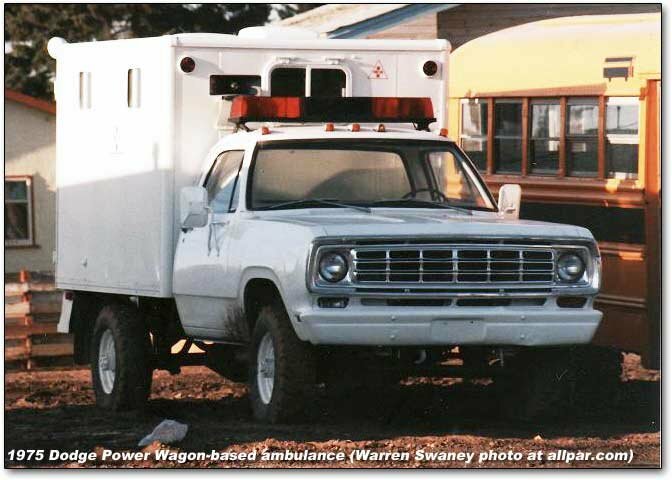 The crew cabs had fairly small customer bases — the military, government and railroads. 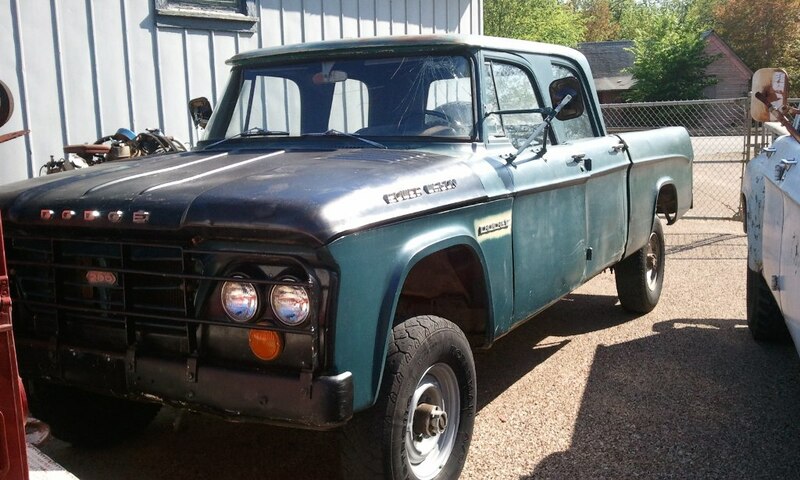 You’ll note that the crew cabs are very long, longer than even the huge sedans of the day. 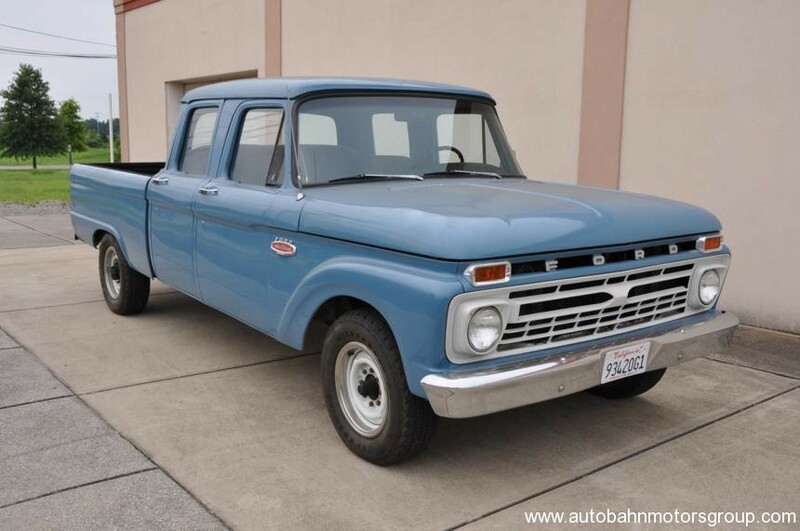 One assumes based on the introduction dates — 1973 for the Crew Cab and 1988 for the extended cab, the first years of new-design pickups — that GM lazily waited until a new pickup design to get around to a new model already being offered by its competitors. 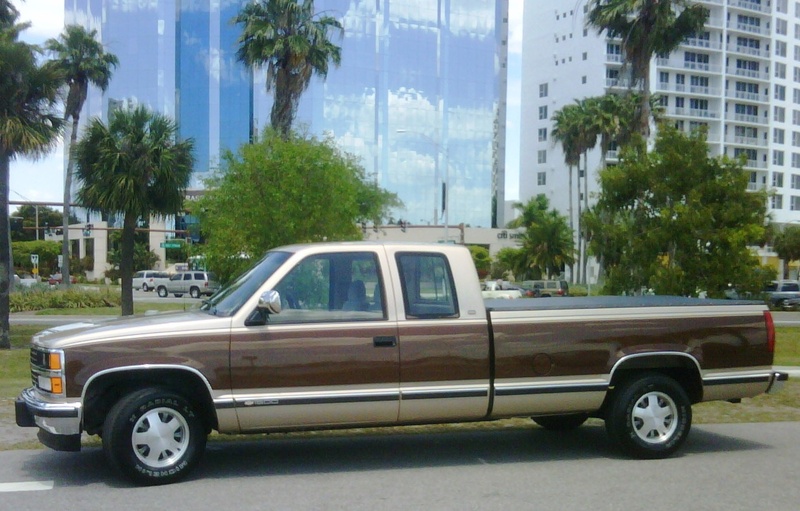 (And when the extended-cab pickup came out, Chevy and GMC kept selling their old-design crew cab pickup; GM didn’t get around to a new-design crew cab until four years later.) No wonder Ford has outsold Chevy in pickups for years. … but Henry Ford II wasn’t interested. Upon being fired at Ford, Iacocca took his idea with him to Chrysler, whose minivan was based on the K-car platform. The Chrysler minivans sold much better than their competition, and probably paved the way for more car-like vehicles such as the Honda Odyssey van and Pilot SUV, both based on the Accord sedan. … immediately dubbed the “Dustbuster” (as were the Pontiac Trans Sport and Olds Silhouette) for their resemblance to the Black & Decker portable vacuum cleaner. Back in the bad old days at GM, the people in charge of vehicle manufacturing had huge control over how vehicles looked. 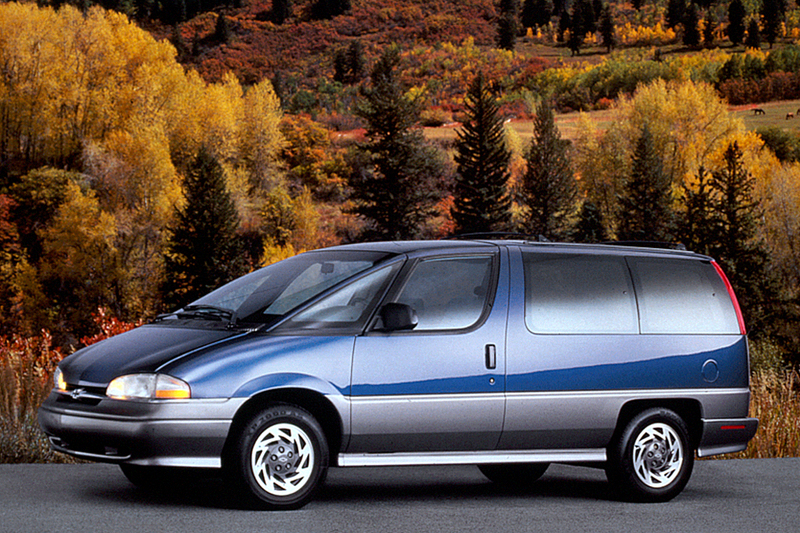 Designers knew what they wanted GM’s first crossover to look like, but in the convoluted corporate world of the 1990s, GM’s own manufacturing team wouldn’t give it to them. The excuse? It would have cost too much. That decision cost GM dearly … and not just in dollars. The hideous slab-sided production horror that debuted in 2001 shares little with the 1999 concept. … Their proportions are completely different. The most visible alteration was to the angular roof of the concept that looked much like the production Chevrolet Equinox. 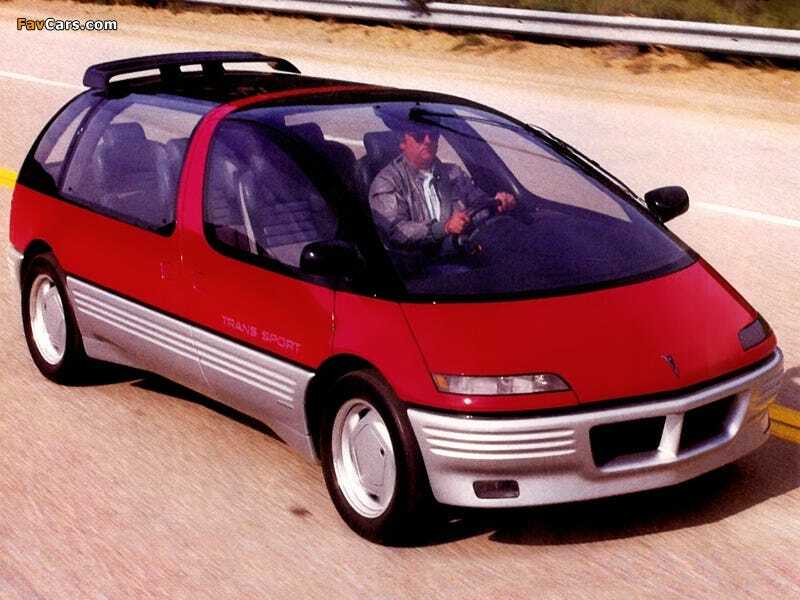 If the concept had made it to production, the fate of the Aztek would likely have been much different. Instead, the Aztek earned its title as the ugliest car in the world, and helped kill off the Pontiac brand. A bad car happens in stages. The Aztek concept car was a much leaner vehicle. Decent proportions. It got everybody excited. At the time, GM was criticized for never doing anything new, never taking a chance. So Wagoner and the automotive strategy board decreed that henceforth, 40 percent of all new GM products would be “innovative.” That started a trend toward setting internal goals that meant nothing to the customer. Everything that looked reasonably radical got green-lit. These things require a culture of complete acquiescence and intimidation, led by a strong dictatorial individual who wants it that way. The guy in charge of product development was Don Hackworth, an old-school guy from the tradition of shouts, browbeating, and by-God-I-want-it-done. He said, “Look. We’ve all made up our minds that the Aztek is gonna be a winner. It’s gonna astound the world. I don’t want any negative comments about this vehicle. None. Anybody who has bad opinions about it, I want them off the team.” As if the public is gonna give a sh** about team spirit. Obviously, the industry is trying to get away from that approach. One guy I informally interviewed about how the Aztek happened was one of the top guys on the project. And this guy, he looks at me and he says, “I’m proud of it.” Proud of the Aztek? “Yup. That was the best program we ever did at GM. We made all our internal goals, we made the timing, and I’m really proud of the part I played in it.” He had tears in his eyes. It was almost tragic. Everybody wanted to will this thing to succeed, and it didn’t work. All the emotional commitment and pride in the program was that it achieved all its internal objectives. And it was probably one of the great defeats in his life, or in his career. 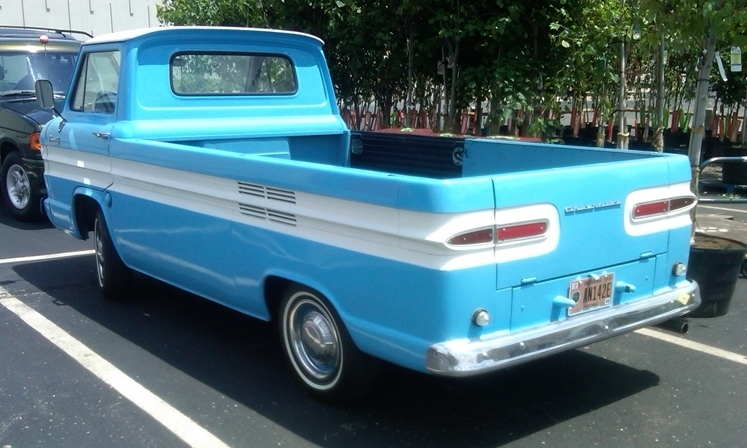 For a company known for excess bureaucracy — which might explain the tardy introduction of extended-cab or crew-cab pickups, which cost GM lots of money given that pickups then and now are hugely profitable — one wonders how the Corvair and the other design oddities got to market. (“Totalitarian managment” is probably right on.) Every time a business debuts a poorly-thought-out product or service, or rebrands itself in a curious way (for instance, Wisconsin Electric renaming itself “We Energies”), one thinks there was a guy in a room who did not speak up when he (or she) should have about how dumb this idea was. Call him or her Mr. or Ms. Non-Groupthink.